Hey everyone! 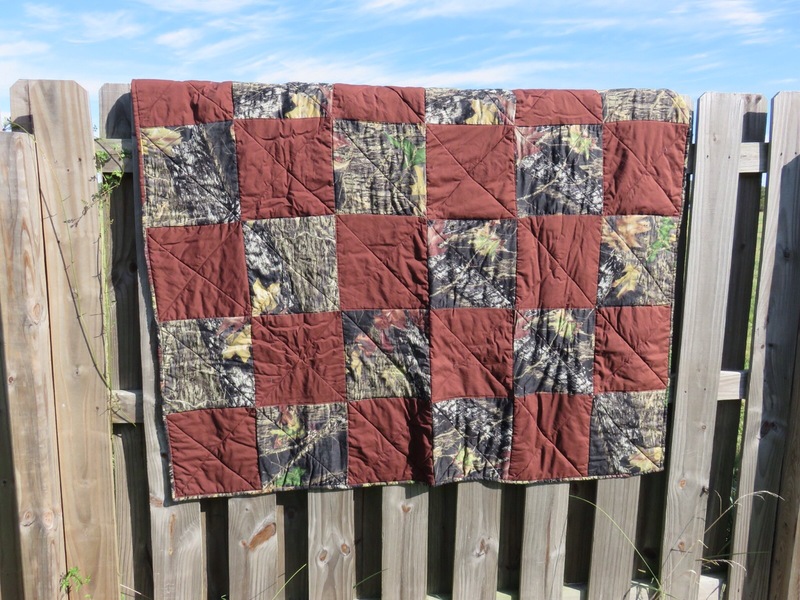 So this past week I’ve been making a list of all the quilts I have completed and decided to share them here for others to see. 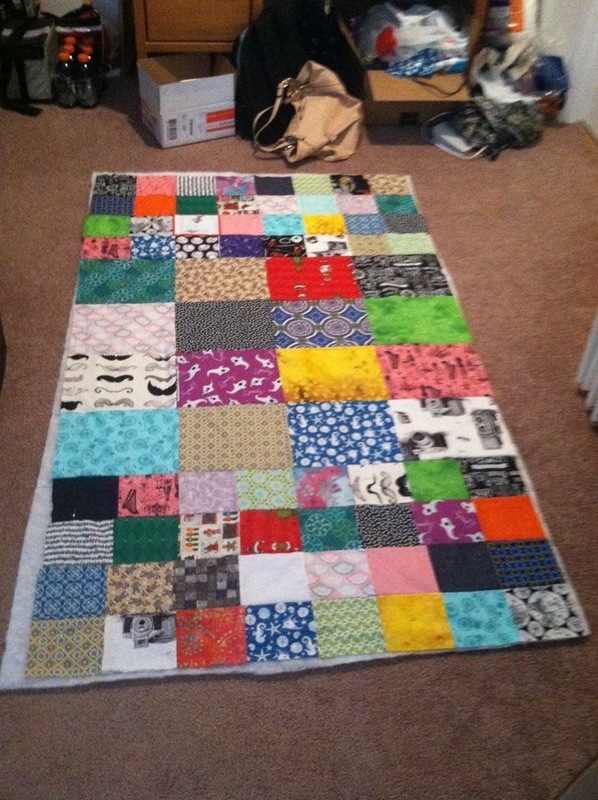 I apologize that some of these pictures aren’t the best quality, but when I first started making quilts, many times I didn’t take a picture of the finished product, or if I did it was on a phone camera. 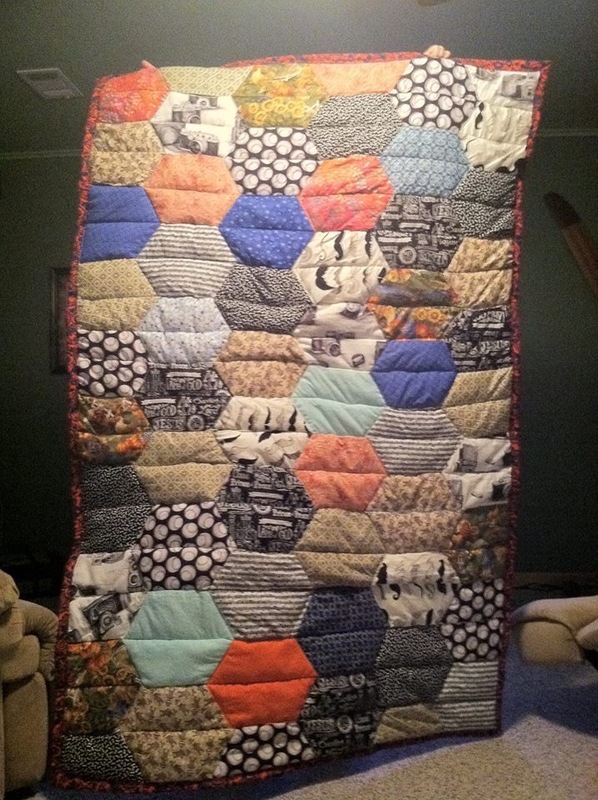 However, I have become a much better quilt photographer since then and I always take pictures of finished quilts. You grow and become more organized as you learn from past mistakes! 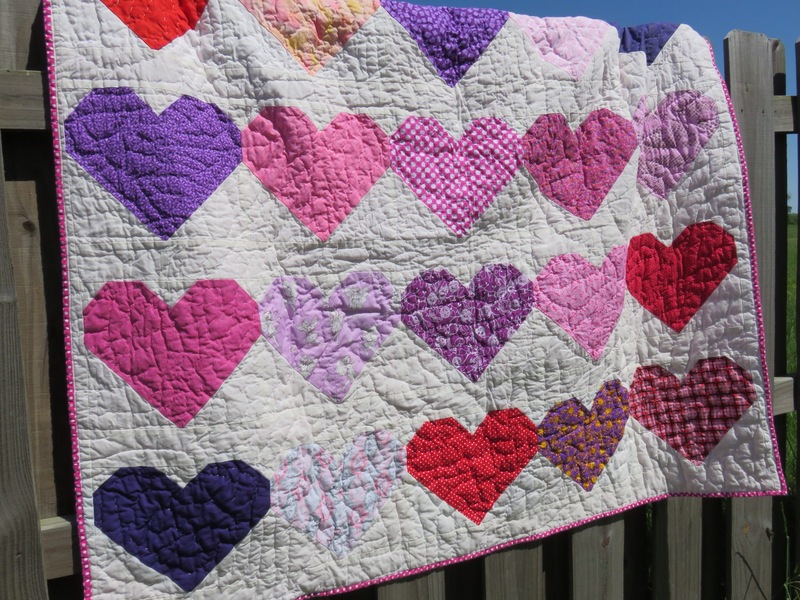 This post is going to contain my current finished quilts that I’ve either given to loved ones or kept for myself. 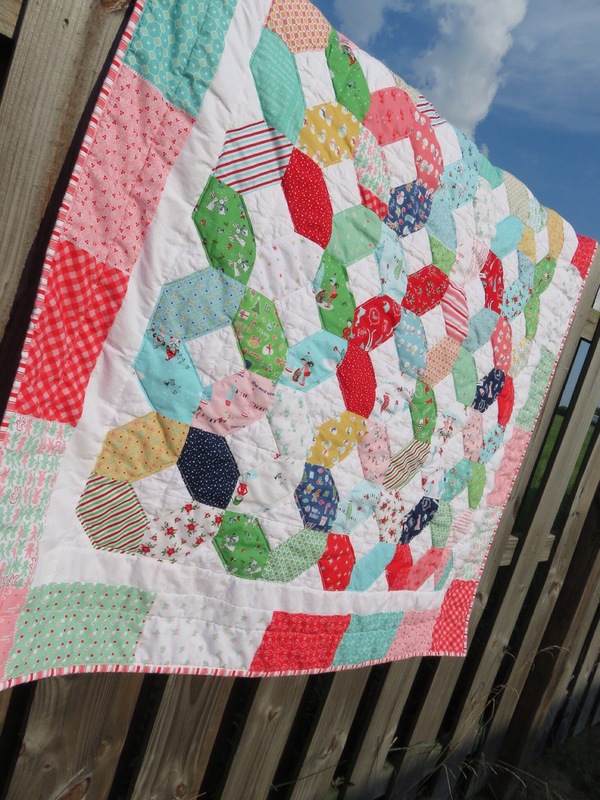 I’m going to try and go in chronological order and give some details of the quilt and who I made it for. 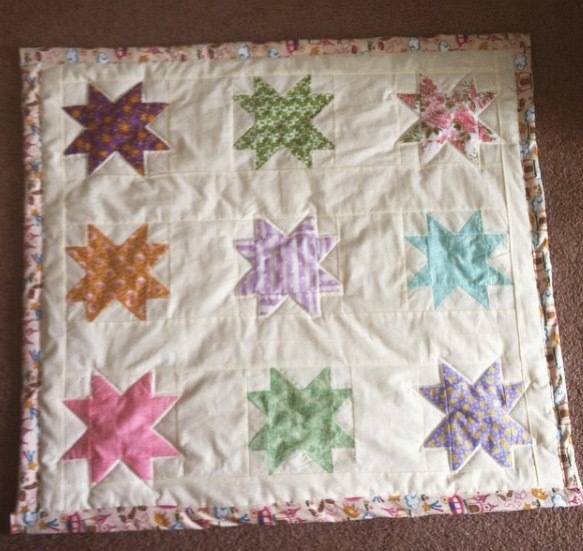 That’s right, this was my very first quilt! Can’t you tell? 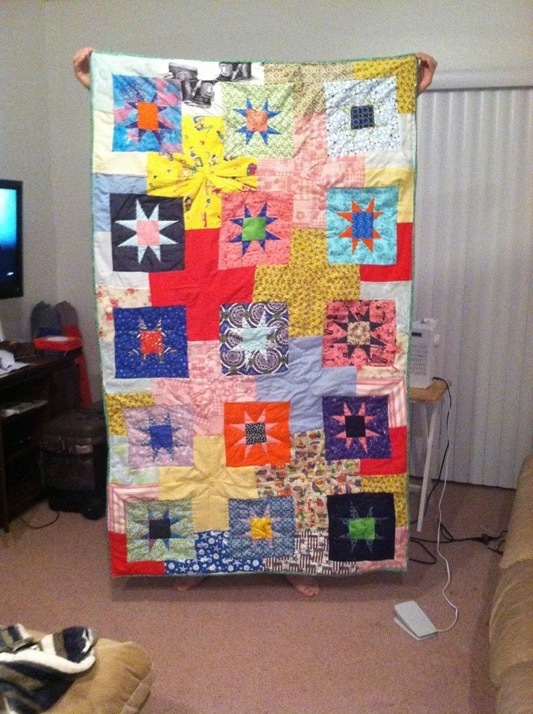 Haha, this quilt was completely hand sewn, and I admit I had no idea what I was doing. 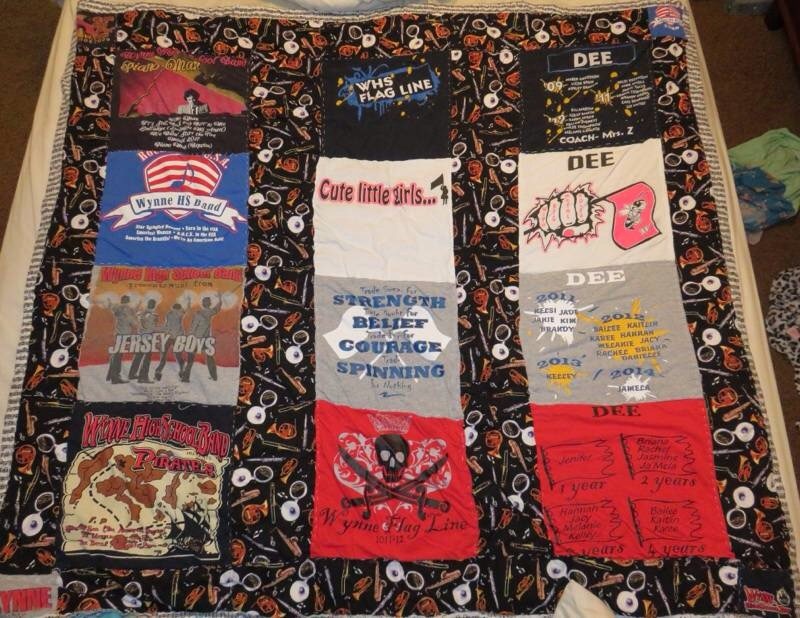 I cut all the fabrics with scissors, and didn’t use any interfacing, nor did I quilt over the T-shirt blocks. (What a rookie mistake). The t-shirts in this were my marching band and flag line shirts from high school. 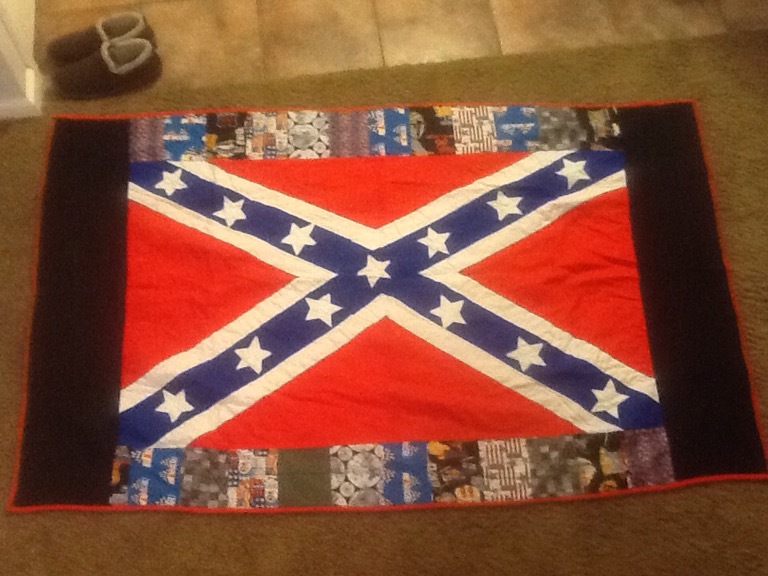 I was 18 when I made this, and it’s still holding up! 2. 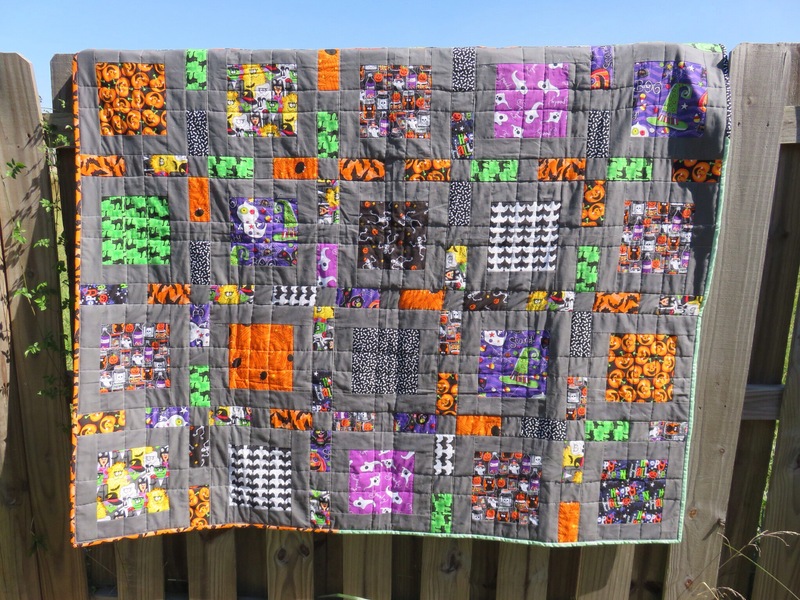 A graduation gift – completed May 2014 The inspiration for this quilt came from an awesome hexagon Halloween themed quilt I found on Pinterest. 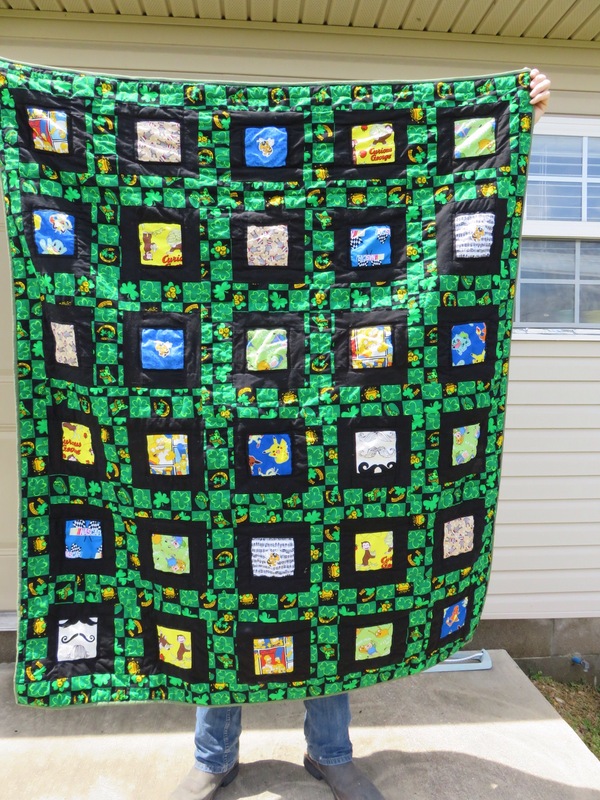 This quilt was a rushed creation, as I only planned it 2 weeks before my cousins graduation! 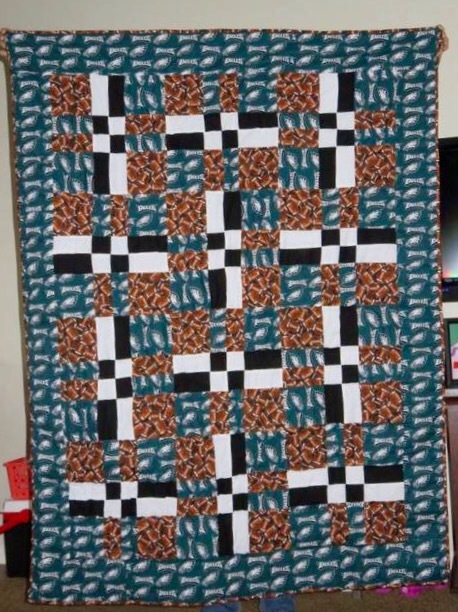 This was the first quilt to be made (machine pieced and quilted) on my Brother sewing machine, and it’s really what made me want to continue quilting. **I currently don’t have a picture, but when I get one I will put it here. 12. 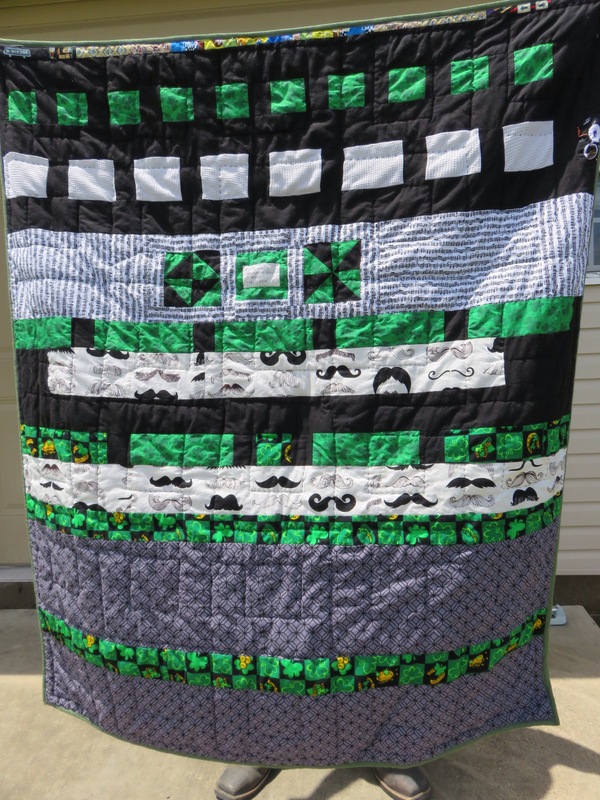 Philadelphia Eagles – completed June 2016 I made this disappearing 9 patch for my boyfriend’s dad as a Father’s Day gift. 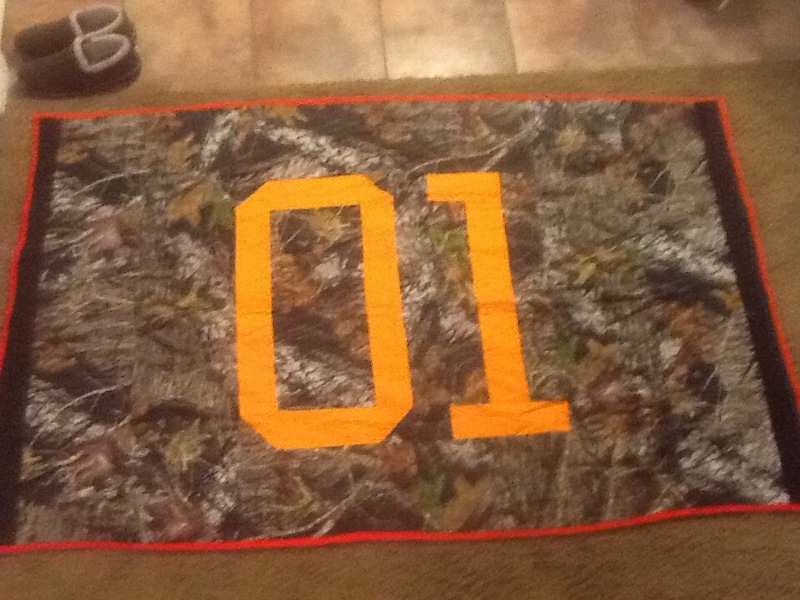 He loves the Eagles football team so when we found this fabric we knew we had to get it! 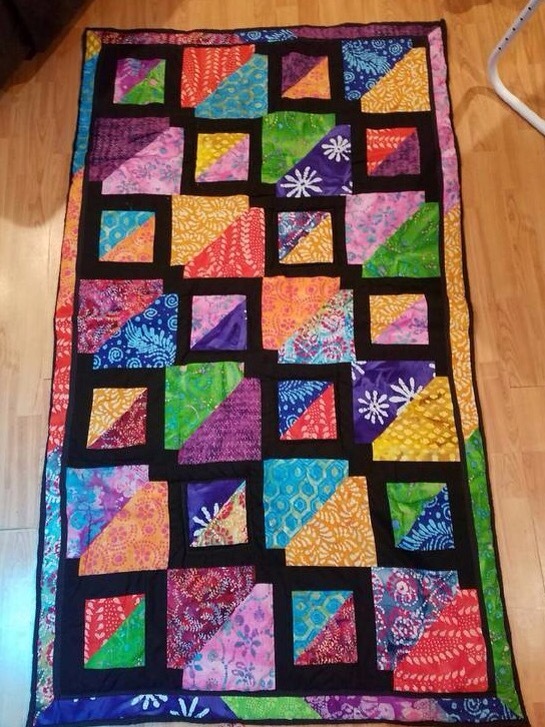 [machine pieced, hand quilted] (there are so many different ways to arrange disappearing 9 patch blocks, this was just the way I put them together). 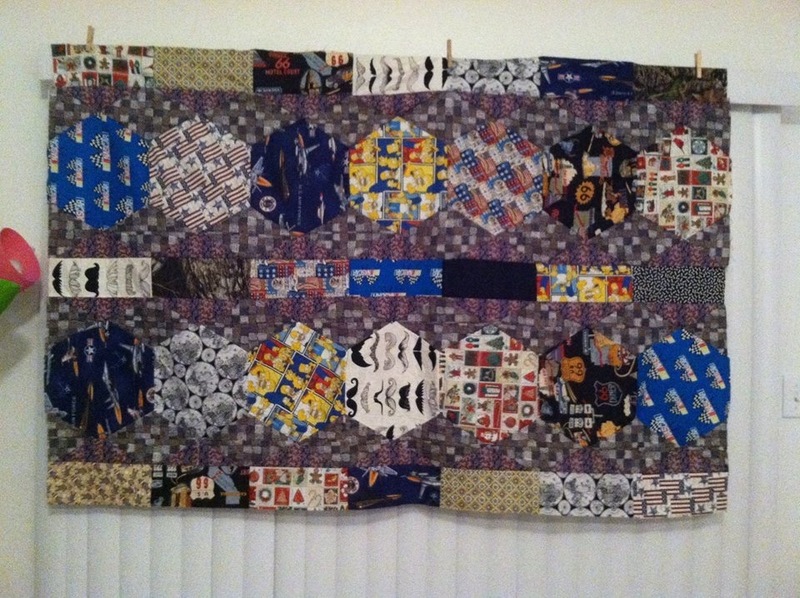 These are all of the quilts I’ve completed thus far. Thank you so much for looking and reading!